Thank you, Dison! 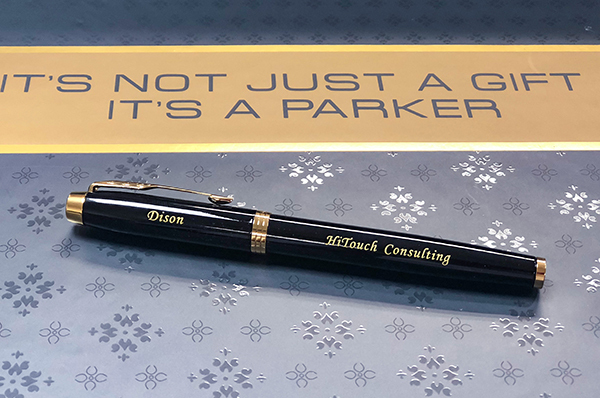 He has worked with HiTocuh for 3 years, our President Jimmy awards him a special Parker pen with his name on it, as the 3-year anniversary gift. 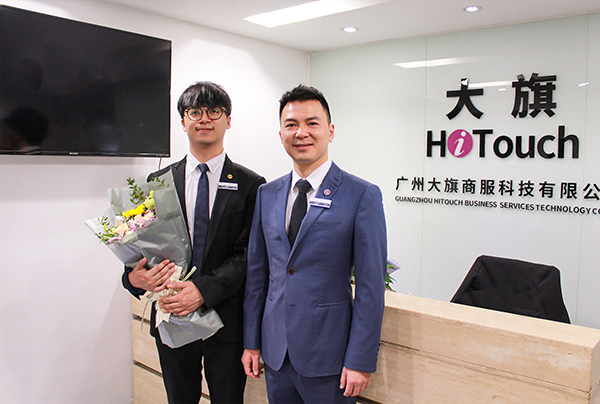 From a fresh graduate to a designer, Dison has made many great designs for us, our booth @Canton Fair, posters, and other gifts to customers, etc. He achieves his dream at HiTouch, and he promises will bring us more cool designs.